FP&A analysts are the ones management go to when they need accurate predictions for the future. They will tell how company is performing in relation to its budgeted goals and forecast its revenues, either in the short term (up to 12 months) or long (up to 5-10 years). They communicate directly with the revenue generating units and use their figures to form expectations for the firm’s future. This career track gives you the tools and methods to make these predictions. If you are interested in a career in finance, accounting is one of the first skills you need to learn. It is the basis on which all financial transactions are registered. 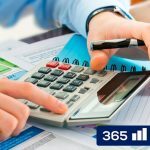 In this training, we will teach you the accounting equation (Assets = Liabilities + Equity), you will learn how to work with debits and credits, how to build a P&L and Balance Sheet, and how to analyse financial statements. 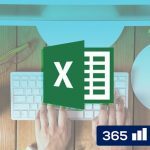 Excel is the most widely used office productivity tool in the world. It is indispensable for anyone working with numbers as its calculation, visualization, and data organization capabilities are still unmatched. In this training you will learn how to work with the program, as well as how to apply some of its most important functions. In addition, we will teach you how to format your work professionally and how to create a P&L from scratch. An advanced proficiency of Microsoft Excel helps you to be faster, more efficient and smarter. It safeguards you from making mistakes when working with numbers. If you want to specialize in Finance, then this is one of the most important skills you need to acquire. In this course, we will teach you how to work with sophisticated formulas, use Pivot tables, and build complex financial models. 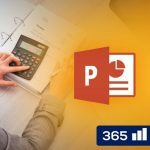 In this course, you will learn how to create well-structured, professional, and convincing PowerPoint presentations. We start with the very basics, then switch gears teaching more advanced PowerPoint tools, and continue by focusing on business presentations and the best practices to be followed in a corporate environment. Finally, our course teaches you how to create a complete business presentation from scratch. The training starts from the very basics of forecasting and financial planning. 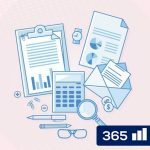 It gradually teaches you about forecasting and budgeting, and the two main approaches used in modern financial planning – top-down and bottom-up. Once you complete the course you will be able to create a small company’s budget on your own. 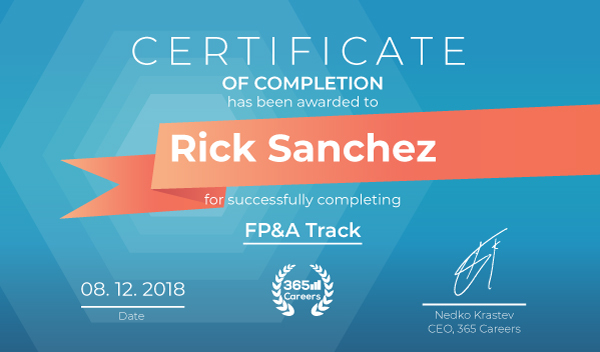 This is the most important skill you need on your resume if you want to become an FP&A analyst.